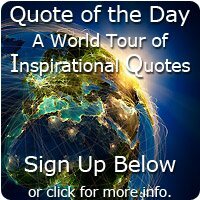 I hope you enjoy this collection of Alexander Graham Bell quotes. Alexander is of course credited with inventing the telephone, and his discovery was born from his desire to help deaf people. 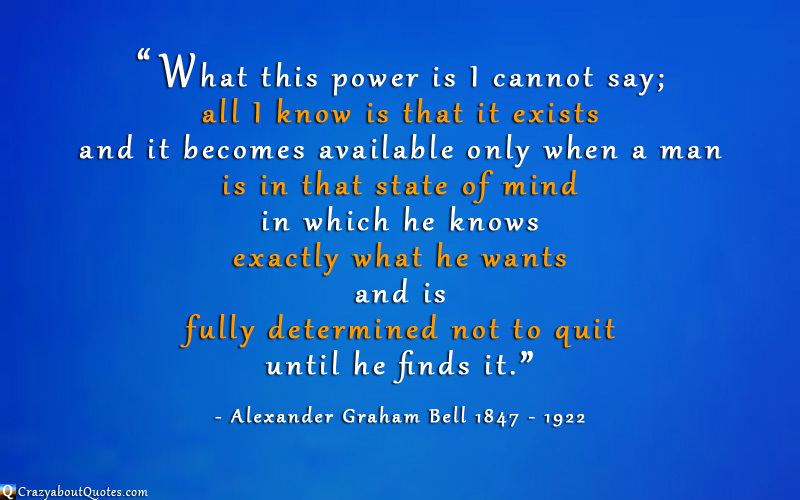 Profile: Alexander Graham Bell was born in Edinburgh, Scotland on March 3rd, 1847. From an early age he displayed a curiosity that led him to his first invention at the age of 12. Around this age his mother gradually began to lose her hearing, this had a huge effect on Alexander. His family was already known for their work in elocution and speech and so he spent much of his early life experimenting with sound. Alexander also married Mabel Gardiner Hubbard who was deaf and he was friends with the inspirational Helen Keller. It was in 1876, age 29, that Alexander invented his telephone and formed the Bell Telephone Company the next year. Although his future was secure he still sought out new ideas and explored other scientific areas including airplanes, sheep-breeding, artificial respiration, water distillation, and hydrofoils. Bell died in 1922 age 75 at his estate in Nova Scotia, Canada. and is fully determined not to quit until he finds it." that we see too late the one that is open." "Self-education is a life-long affair. and to seek answers for his unceasing hows and whys about things." every experiment contains a lesson. it is the man that is unsuccessful, not the experiment." - a man is what he makes of himself." we should leave the beaten track occasionally and enter the woods." and we shall certainly not go through Life with our eyes shut." involve the cooperation of many minds. I feel the credit is due to others rather than to myself." and is not contented with things as they are. he is haunted by an idea. The spirit of invention possesses him, seeking materialization." "The nation that secures control of the air will ultimately rule the world." will be able to see the distant person to whom he is speaking." for all really big discoveries are the results of thought."